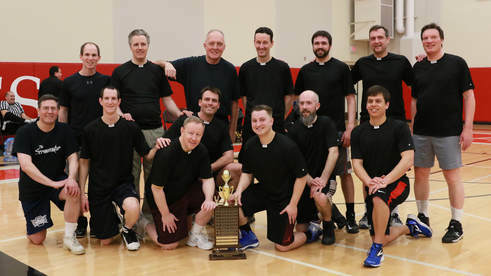 Discover the Vocations Office and Retreats Throughout the Archdiocese. SJV priests and hear testimonies from seminarians. 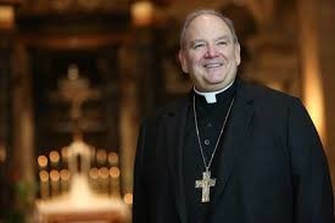 Discern with the Archbishop in this winter retreat. Tuesday, March 12 6 - 8 p.m.
Archbishop Hebda and Father David Blume, Director of Vocations, invite women, ages 16 - 35, who are discerning consecrated life to join us for a Miriam Dinner. Come for an evening of prayer and dinner with consecrated women sharing their vocation testimonies. Next Cor Jesu: Friday, February 8, 2019! Eucharistic adoration, confession, praise & worship music and fellowship with young adults, college - age and older. No need to rsvp. Parking is open on lots p, x and y on the South Campus of the University of St. Thomas. More Information: Visit the Cathedral Young Adults Facebook page. ​Theology on Tap is a multi-week speaker series held twice a year, once during the winter and once during the summer. Topics focus on faith and contemporary issues that directly affect the lives of young adults. The talk is free, but all are encouraged to support our generous host. Don't miss Archbishop Hebda on February 20! 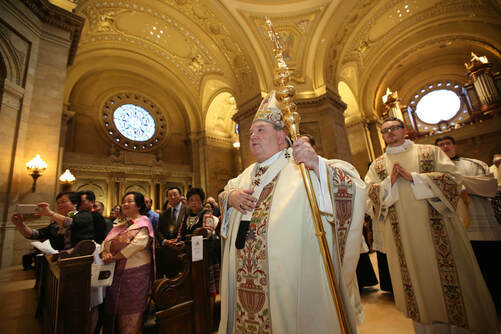 Archdiocesan third- year theologians at The Saint Paul Seminary will be ordained to the transitional diaconate on Saturday, May 11, 2019 at the Basilica of St. Mary, Minneapolis, at 10 a.m. The public is invited to the ordinations of these men for ministry and service. Archdiocesan Fourth Year Seminarians will be ordained as priests on Saturday, May 25, 2019 at the Cathedral of St. Paul at 10 a.m.
On this joyful occasion, the public is invited to participate in the ordination rite of these men for priestly ministry and receive a blessing from the new priests. 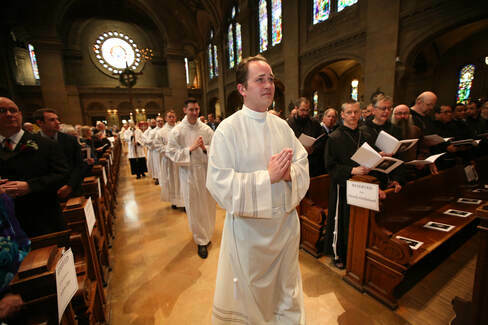 Are you called to a Vocation as a Permanent Deacon? If you are a married or single man between 30 and 59 years old discerning the vocation of permanent deacon, you are welcome to join us for a four-part Permanent Diaconate Inquiry Series. The series will be three weeknights held at The Saint Paul Seminary from 6:30 pm – 9:00 pm and one Saturday from 8:00 am – 12:00 pm . What roles do the wife and family have? How to discern and respond to the Lord’s call to Holy Orders? What is the application, discernment, and formation process? Questions? Cntact Shellee Leif by phone at (651) 962-6891 or by email. Friday Night at the Friary! Men of God, are you interested in discovering the vocation that Jesus is calling you to? Perhaps you're already actively discerning a vocation in the Church? 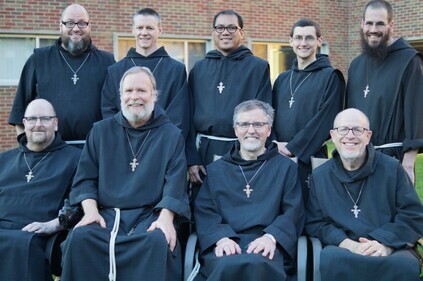 We invite men, ages 18-35, to "Friday Night at the Friary" hosted by the Franciscan Brothers of Peace for a time of prayer, fellowship, and seeking God's call in your life, whatever that may be. 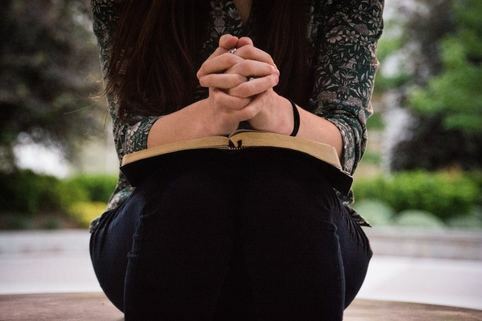 After opening with prayer, a short reading or reflection is shared with an emphasis on vocation discernment, prayer, or discipleship. Next, how about some socializing, outdoor/indoor recreation, and good eats? We've saved the best part for last by spending time adoring Jesus in the Blessed Sacrament, "Speak Lord, Your servant is listening." 1 Samuel 3:10. The evening then concludes with chanted Night Prayer. 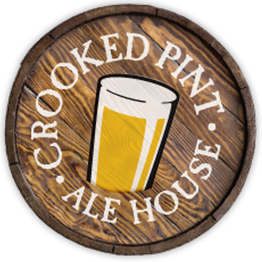 ​Join us every third Friday of the month from 7-9 p.m. at Queen of Peace Friary, 1289 Lafond Avenue, Saint Paul, MN 55104. For more information call: 651-646-8586 or email:vocation@brothersofpeace.org. We'll see you Friday Night at the Friary! We believe in our 1,500-year-old Benedictine tradition and want to share that belief with you. We extend to you the opportunity to discover what it means to belong to our community. 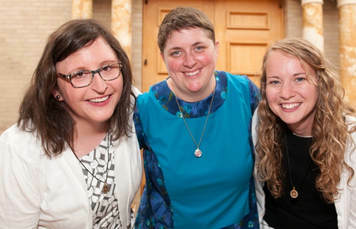 If you are a single, Catholic woman under the age of 45, consider spending some time with us. The day will begin at 10 a.m. and end at 3 p.m. Learn the history of our chapel and sacred spaces through a guided tour. Celebrate Eucharist with the community and share a meal in our monastic dining room. 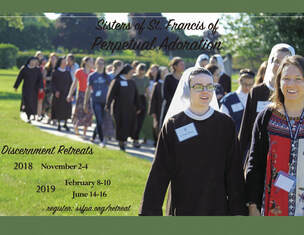 A Discernment Retreat is a beautiful opportunity to spend time away with the Lord and allow Him to speak to your heart. 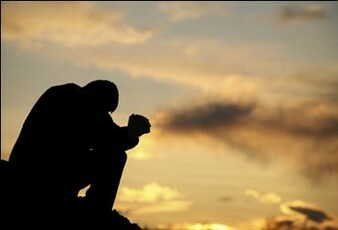 The retreat consists of 3 conferences preached by a visiting priest on the topics of how to discern and grow in prayer. 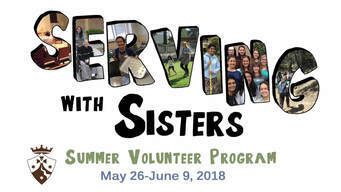 The Sacraments and Eucharistic Adoration are available as well as an opportunity to talk with the young Sisters and other young women who are discerning the Lord's will in their lives. If you are a single, Catholic woman between the ages of 17 and 30 and are interested in attending a Discernment Retreat, please register. Retreats begin on Friday at 7:00 pm Eastern Standard Time and conclude on Sunday at 11:30 am Eastern Standard Time. 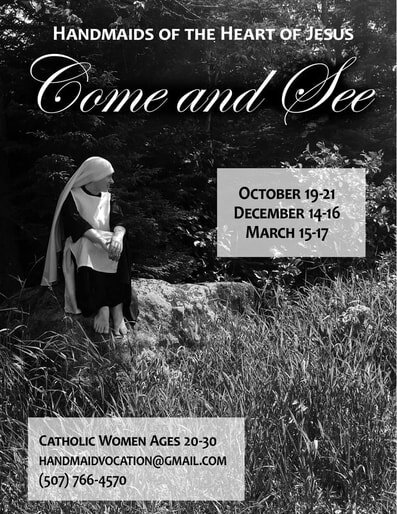 If you are a single, Catholic woman between the ages of 17 and 30 and are interested in attending a Discernment Retreat, please register below. Retreats begin on Friday at 7:00 pm Eastern Standard Time and conclude on Sunday at 11:30 am Eastern Standard Time. An information session about membership and association with the Sisters of St. Joseph of Carondelet and Consociates Community! Information Session: Friday, February 22, 5:30 pm Hospitality, 6:00 – 8:30 pm Meal and program. Come learn and pray with this community steeped in spirituality and justice. Always looking to welcome others, we will explore a wide-range of opportunities for deeper connection and growth. Overnight Retreat (optional): Friday, February 22, 5:30 pm – Saturday, February 23, 4 pm. Meet the Carmelite Sisters and glimpse into our life in Carmel. ​The evenings will be filled with opportunities to grow spiritually, deepen friendships and get to know the Sisters. Special outings (to the beach and mountains) and a Day of Prayer are also scheduled. There is no cost for this event! Saturday, April 6, 2019 from 8:00 a.m. – 5:30 p.m.
Visit different religious communities to meet, learn, share meals, and pray with Catholic Sisters. 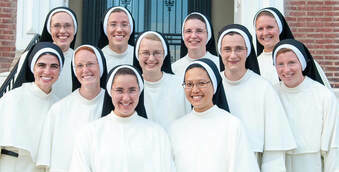 We will visit local communities of School Sisters of Notre Dame, Sisters of St. Joseph and Visitation Sisters. Carpooling will be arranged. For more information or to register, contact 651-696-2873 or email junderdahl@csjstpaul.org.